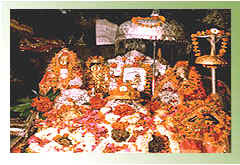 Vaishno Devi,Vaishno Devi Temple,Vaishno Devi Tour,Sri Mata Vaishno Devi, Mata Vaishno Devi Temple Tours, Katra to Vaishno Devi Temple. 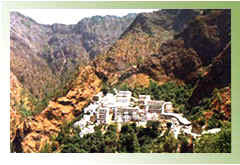 Shri Mata Vaishno Devi, which is approachable on foot along a 13 kms long well laid footpath. Every year, more than 4.5 million pilgrims pass through Katra on their way to the holy shrine. The Legend of Mata Vaishnodeviji. E veryday of the year throngs of people surge up the steep pathways that cut across the Trikuta hillsides for mile after mile. This show of faith is finely interwoven with the cultural strands of the Indian subcontinent, and these pathways have been trod on for many centuries now. Popular belief holds that anybody who walks the Himalayan trail to the goddesses's abode to ask for a boon rarely goes back disappointed. Whatever be it, a new enterprise or a forthcoming examination, marriage or birth, the devout look up to the Mata For blessings and guidance. There are many who journey year after year to pay obeisance regardless of their faith or belief, creed or class, caste or religion. 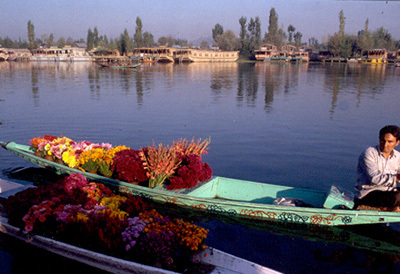 The Yatra to the holy shrine is as fascinating as the legend associated with it. It goes that thousands of years ago, a comely maiden called "Vaishnavi" have been created by the three lords attained human form and was a devotee of Lord Vishnu. Having taken a vow of celibacy, she spent almost all her life in meditation and prayers. In time she attained enormous spiritual powers and is believed to have extracted an assurance from Lord Rama that he will marry her in Kali-Yug if she persisted in her spiritual quest. This is why she is also known as Adh Kanwari or the "eternal virgin". The Goddess then meditated in the cave at Adh Kanwari. It took Bhairon nine months to locate her, which is why the cave is known as Garbh Joon. When the demon found her, Mata Vaishno Devi blasted an opening at the other end of the cave with her trident and fled to the Holy cave at Darbar (temple).